Looking for fun and easy ways to add a spark of surprise and joy to the first back-to-school day? Check out this roundup of 7 free printables that will give your kiddo’s first day back to the classroom a boost. 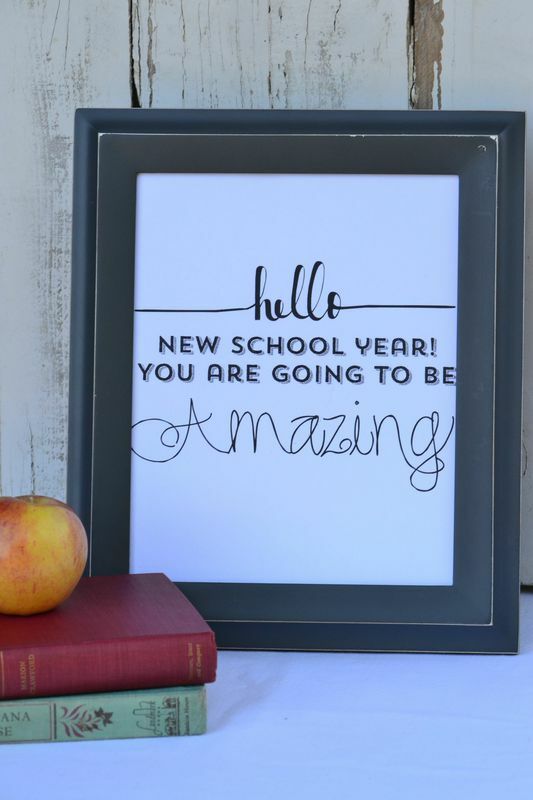 Head over to Remodelaholic for a free set of 15 different back-to-school sign printables — perfect for first day pictures! The signs cover everything from pre-school through 12th grade, and each is set up to print on standard 8.5 x 11 paper that can easily be trimmed with some scissors or framed if you wish. You’ll love these free printable lunch note designs by Kristen from Paper Crave! Add one of these notes to your child’s lunchbox to let them know just how much they matter to you and brighten their day. This is SUCH a great idea — interview your child at the beginning of the school year! Blogger Yellow Bliss Road says, “…preserve this moment in time with an All About Me questionnaire…it will be so much fun to look back at the end of the year and see how much their answers change.” She has kindly shared her designs and ideas, and you can print these out for free here (available for Preschool through High School). We found this fun and resourceful “You Rule” treat envelope made from CD sleeves over at creative blogger, Thirty Handmade Days. She designed this “cute little back to school treat and printable to add to a lunch box, give to a teacher, or have for when kids come home…whatever you want!” Go here to get the instructions, treat mix recipe, and free printable. 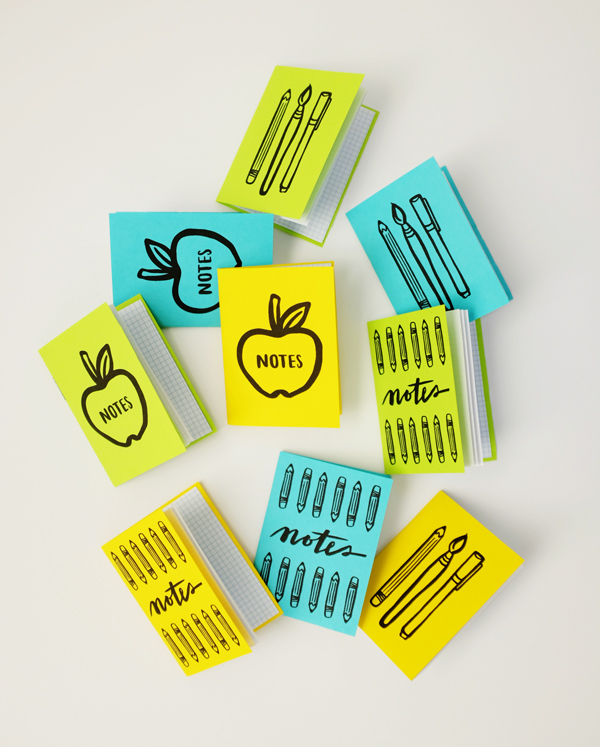 Get excited for fall by making these clever mini back to school notebooks (free printable from creative blogger Oh Happy Day) for your kids or their friends. They are easy to assemble and would be a great project to help the kids get excited about heading back to school! 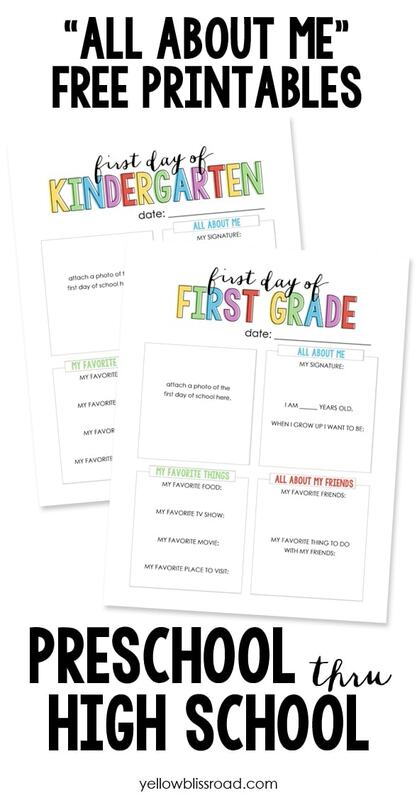 If you want to give your child’s teacher a thoughtful, but inexpensive surprise on the first day of school, visit blogger iheartnaptime (here) where you’ll find 12 free printables that can easily be personalized with your child’s name. This happy design from Everyday Party Magazine can be printed onto standard 8 1/2 x 11 copy paper and placed in an inexpensive frame — perfect to set the right tone in your house for a great year or to give as a nice gift for your child’s teacher. Go here to get the free printable. This entry was posted in Cheap, Dallas, FREE, Gifts and tagged Back to School Fort Worth, Dallas, Fort Worth, FREE, FREE Printable. Bookmark the permalink.